The activity diagram used to describe flow of activity through a series of actions. Activity diagram is a important diagram to describe the system. The activity described as a action or operation of the system. 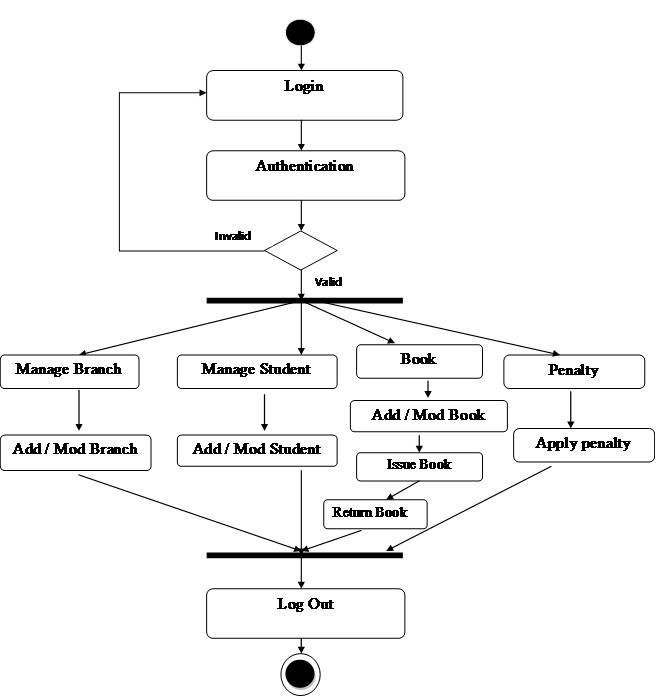 Activity Diagram for Library Management System.